If you missed Sebastião Salgado’s photography exhibition Genesis at the Maison Européenne de la Photographie, the Polka Galerie (Paris) offers you one last chance to discover his outstanding work in France. Born in Aimorés (Brazil) in 1944, Sebastião Salgado began his career as an economist. Upon graduating from the Universities of São Paolo and Vanderbilt, he joined the London International Coffee Organization. In 1973, he abandoned his occupation and turned to documentary photography which led him to explore every corner of our planet―over 100 countries―with great insight, perception and a vision. 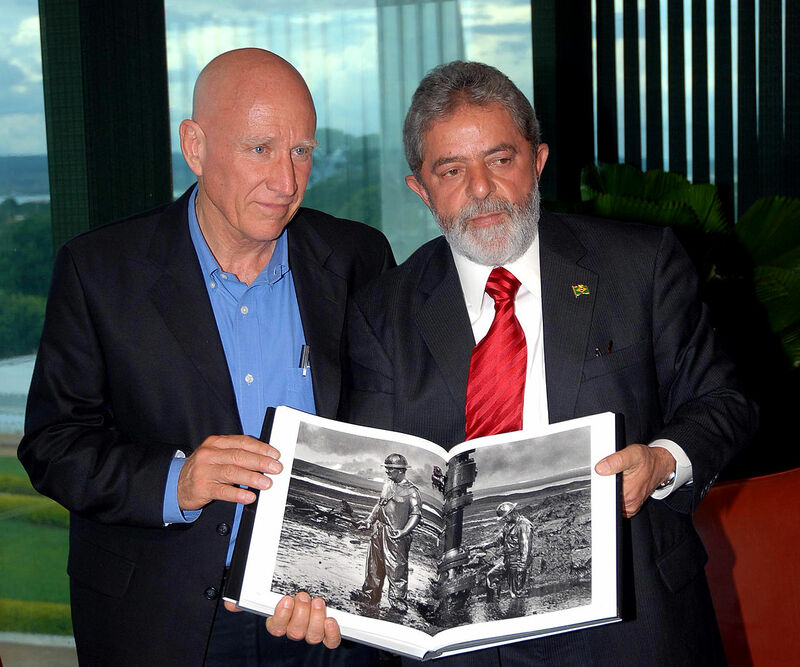 Brazilian president Luis Inácio Lula da Silva receives the book “Trabalhadores” as a gift from photographer Sebastião Salgado (left). / Source: Agência Brasil. Credit: Wilson Dias/ABr. This image is protected under a specific licence.